Demand is high for Islamic fiction in the English-speaking world. "Storytelling is a traditional Islamic art and the novel brings this art right into the home. Muslims of all ages need the contemporary Muslim story as a vehicle for interpreting the world in an Islamic light. Non-Muslims might also appreciate an insight into the diversity and unity of the Muslim way of life that the art of storytelling can provide," writes Yafiah Katherine Randall for Islamic Fiction Books. 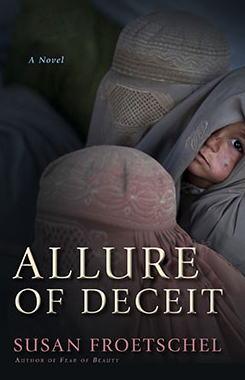 Well, Fear of Beauty is about a woman in rural Afghanistan who struggles to learn to read with only the help of the Koran. So is the book Islamic fiction if the author is not Muslim herself? You decide. It would be nice to think of the novel as one that bridges cultures as some do ... and not offend as did the opening song to Arabian Nights. "Alf layla wa layla (known in English as A Thousand and One Nights or The Arabian Nights) changed the world on a scale unrivalled by any other literary text," explain Saree Makdisi and Felicity Nussbaum in The Arabian Nights in Historical Context: East and West on Oxford Scholarship Online. "Inspired by a 14th-century Syrian manuscript, the appearance of Antoine Galland's twelve-volume Mille et Une Nuits in English translation (1704-1717), closely followed by the Grub Street English edition, drew the text into European circulation. Over the following three hundred years, a widely heterogeneous series of editions, compilations, translations, and variations circled the globe to reveal the absorption of The Arabian Nights into English, continental, and global literatures, and its transformative return to modern Arabic literature, where it now enjoys a degree of prominence that it had never attained during the classical period." Still, those banned books are good. 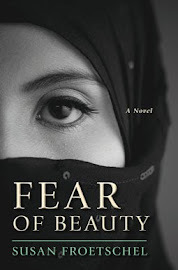 And don't forget to sign up for the Goodreads Giveaway of Fear of Beauty. 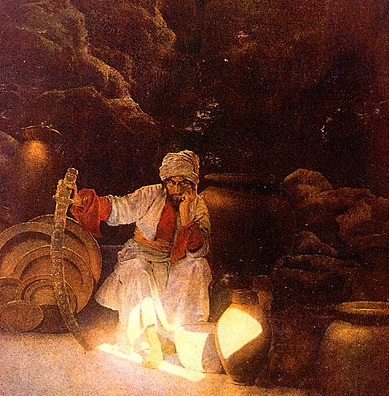 Photo courtesy of Wikimedia Commons and The Arabian Nights.